Here's to hoping that Niki Lauda makes a speedy recovery. He’s currently recovering from a lung transplant. He was diagnosed with influenza recently which affected his one well-operating lung (his other one being obviously damaged from the 1976 crash which gave him his infamous scars). 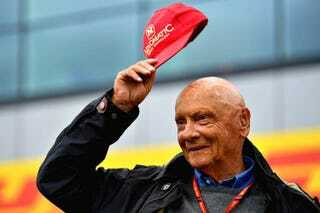 Godspeed Niki, may you recover quickly.